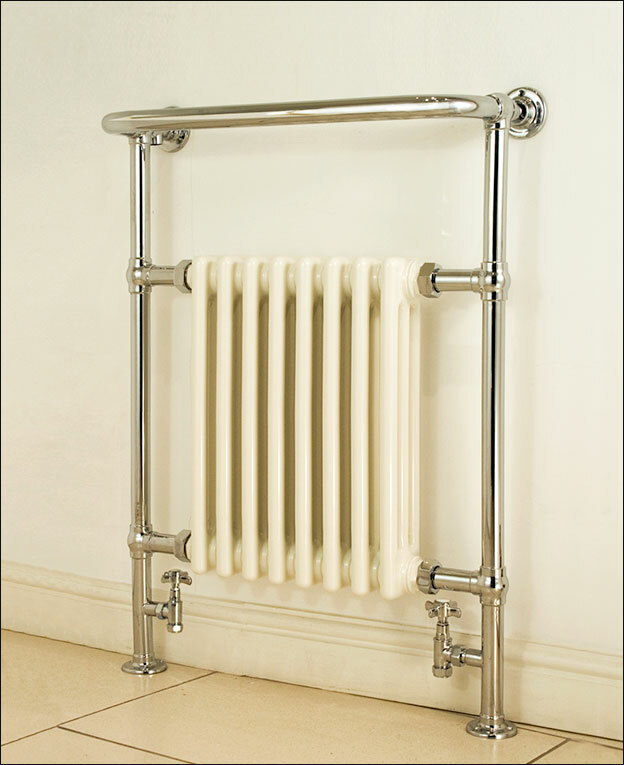 A very nice traditional towel rail with integral white radiator in the Edwardian style of its day. 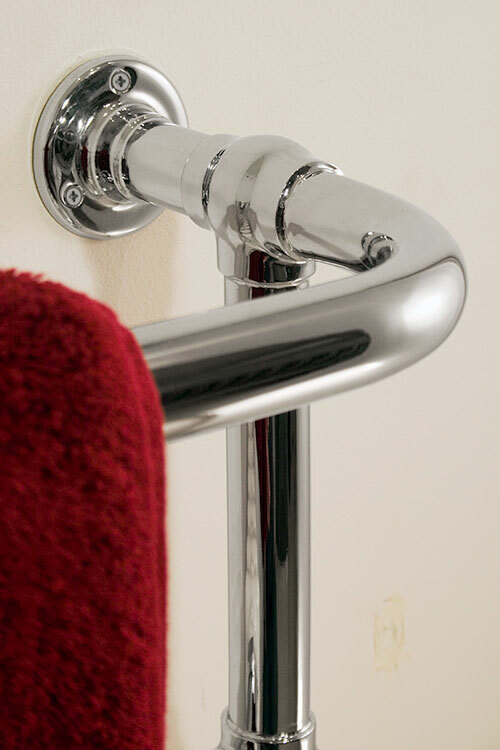 This towel warmer is manufactured with stainless steel tubing which is a far superior in quality and longevity of the inferior chrome on steel imported versions. 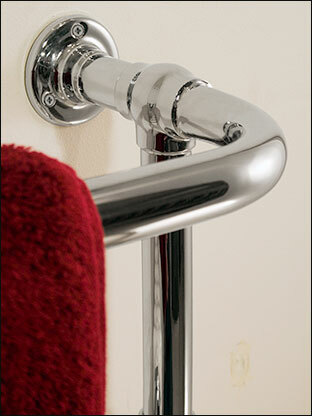 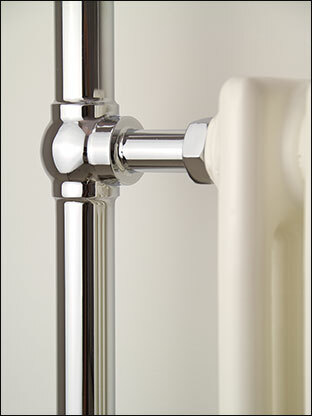 With its central column radiator this towel warmer gives superior heat outputs required in some bathrooms. 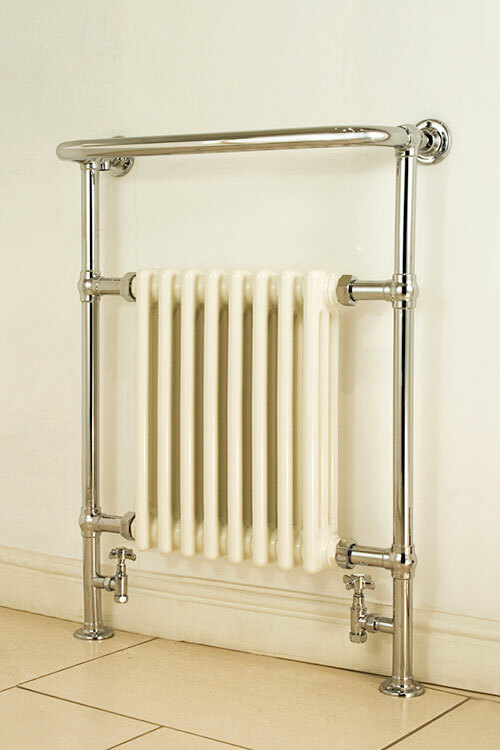 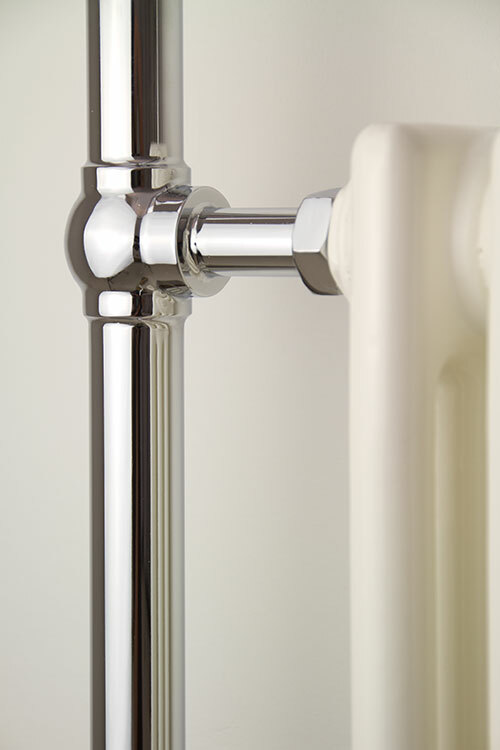 Designed for central heating, dual fuel or electric only heating systems, this radiator can be supplied in 4 sizes and in chrome, nickel, gold, copper and brass finishes.